High blood pressure, also known as hypertension, occurs when blood moves through vessels at a higher pressure than normal. 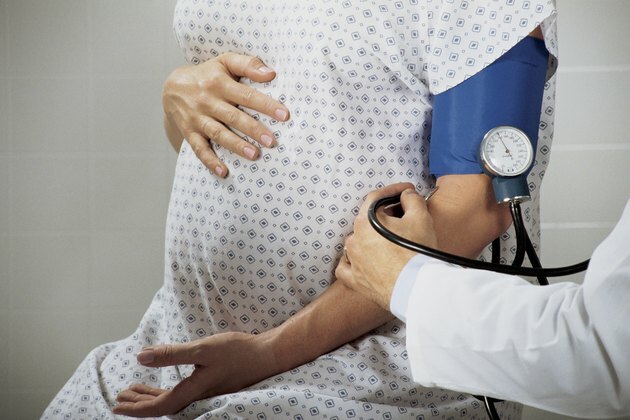 In pregnancy, high blood pressure is often called preeclampsia. Your blood pressure may go back to normal after your baby is born, but keeping your blood pressure at a normal level during pregnancy is important in order to keep your baby healthy. 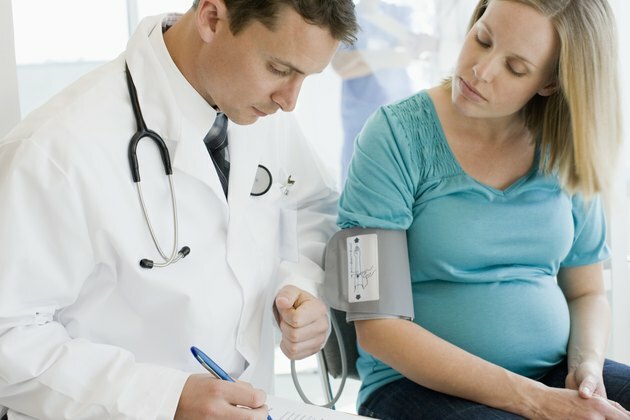 Maintaining a healthy weight during your pregnancy can help lower your blood pressure. If you gain more weight than necessary, it can place additional stress on your body. Focus on gaining a healthy amount of weight by eating normal portions and focusing on consuming lean proteins, fruits, vegetables, whole grains and low-fat dairy products. The amount of weight that is healthy to gain during a pregnancy depends on the needs of your growing baby and the weight you were before getting pregnant, so talk to your doctor about a healthy weight range for you. 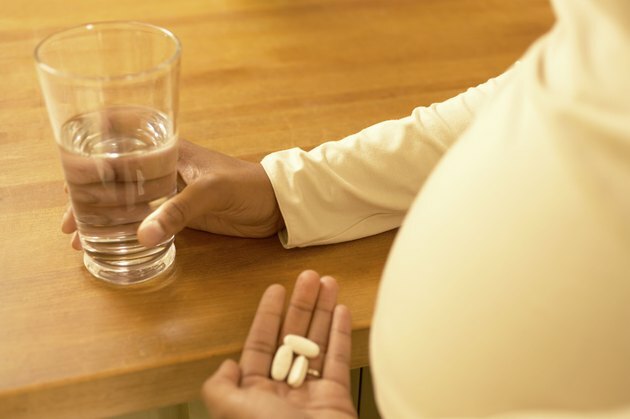 Take the prenatal vitamin recommended by your doctor. Prenatal vitamins are designed to provide you and your baby with the vitamins and nutrients necessary for healthy growth and development and are an important part of your pregnancy diet. Some of the vitamins may help to regulate your blood pressure as well. Prenatal vitamins are high in folate, which helps prevent birth defects. According to New York Presbyterian Hospital, folate/folic acid supplementation leads to lower blood pressure. Drink plenty of water during your pregnancy. The American Pregnancy Association recommends that you drink at least eight glasses of water a day if you have high blood pressure and are pregnant. 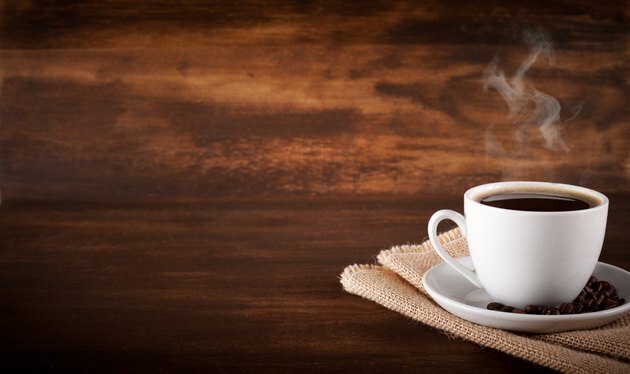 Avoid alcohol and caffeine if you have high blood pressure and are pregnant. Limit your intake of sodium by choosing low-sodium foods products and adding little or no salt to your food. You can also help keep your blood pressure low by staying away from fried foods. Talk to your doctor about other ways to help manage your high blood pressure. He may prescribe medication, recommend that you elevate your feet as often as you can and suggest that you exercise regularly. During pregnancy, you may be able to do moderate exercise most days of the week, such as walking. National Heart, Lung and Blood Institute: What is Prenatal Care and Why Is It Important? Can You Be on Weight Watchers While You Are Pregnant? Can I Take Iron in Addition to My Prenatal Supplements?